How do you know which staples are susceptible? Here's a list of 10 common cupboard items to keep an eye on. Tea has plenty of health benefits — like giving you more energy to exercise and reducing the risk of heart attack — but only if it's stored properly. "Antioxidants decrease an average of 32% after 6 months on the shelf, according to a 2009 study in the Journal of Food Science," reports Prevention.com. "These antioxidants, known as catechins, may decrease your risk of several types of cancer, but they are sensitive to both oxygen and light. Sadly, tea, unlike wine, does not improve with age." 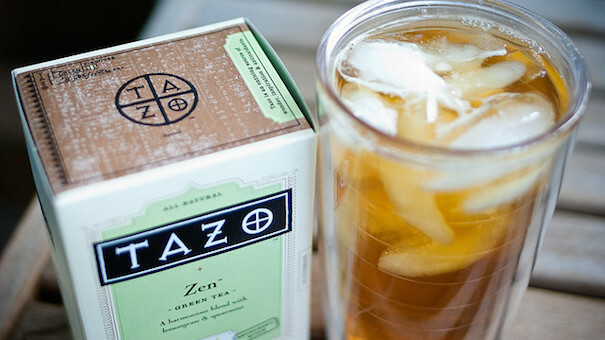 To maximize tea's efficacy, store in a sealed container in the fridge. 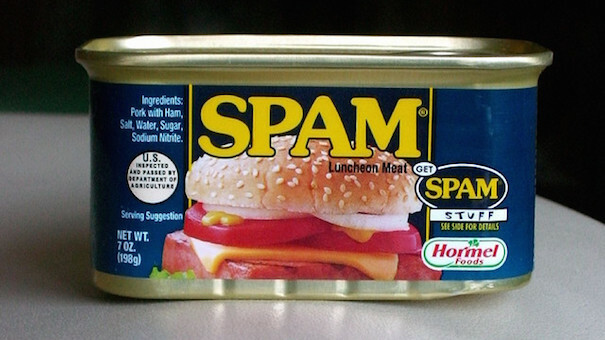 If you're stocking up on food to ride out the impending zombie-pocalypse, Spam is a great option to fortify your nutritional reserves. Yeah, nutrition and Spam is an oxymoron, but when there's very little food left on the planet, whatever you have is nutritious. You just better hope the crisis is over in less than 17 years — because that's when non-perishables of even maximum strength preservative power start to throw in the towel. "I'm far from a food expert, but my wife and I bought a can of Spam in 1997 thinking that it would last forever," admits Dr. Dave Popple, president of a leadership development firm. "This year it split one of the seams [because] it was so bloated. Now I can say our love has lasted longer than a can of Spam." Let's hope it lasts longer than the zombie-pocalypse too. Or just check the "Best by" date on the bottom of the can before opening the can. 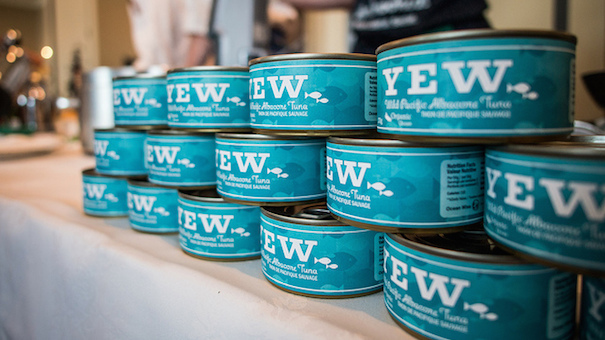 I didn't call eww on Spam, but I am calling super yuck on canned ham and seafood. There's just something about meat in a four-year-old metal cylinder that's completely unappetizing. To each his own, I guess — but if you've been letting next year's holiday feast-in-a-tin sit in your pantry, prepare to spend Christmas getting your stomach pumped. Madison Kotack, digital marketing manager at Meal Kit Supply, warns, "Some canned hams and seafoods cannot be stored at room temperature, as many people might assume." Kotack also weighs in on high-acid canned goods like tomatoes. 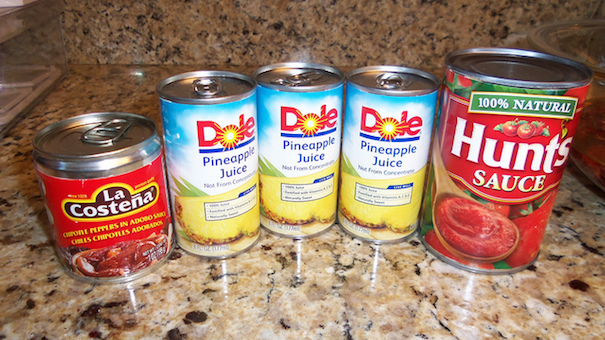 "Canned tomatoes only last 12 to 18 months, while many assume the full 2 to 5 years of standard canned foods," she says. "High-acid foods contain natural chemicals that continually corrode the container, which can alter the taste, texture, and nutritional value of the food over a long period of time." To avoid ingesting a potentially dangerous product, always check the expiration date before opening. "Herbs and spices don't last as long as you think," says Lisa Wells, a blogger at Cook Eat Paleo. "They lose their flavor and color over time and should be replaced. 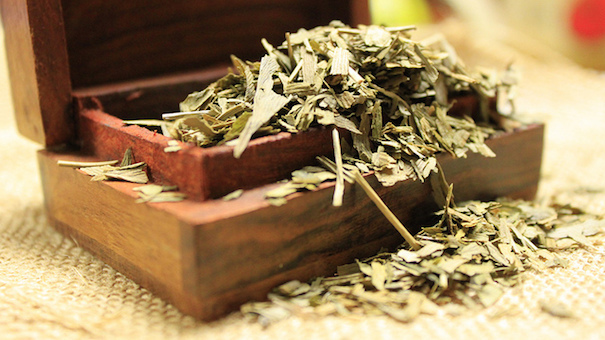 Dried herbs will last one to three years, but if they start to lose their scent that's a good indication that the flavor will be weak. Ground spices should be used within six to nine months for maximum flavor." If you're not a fan of pancakes that taste like turpentine, keep an eye on your whole grain flour along with any nuts and seeds you keep in the pantry. 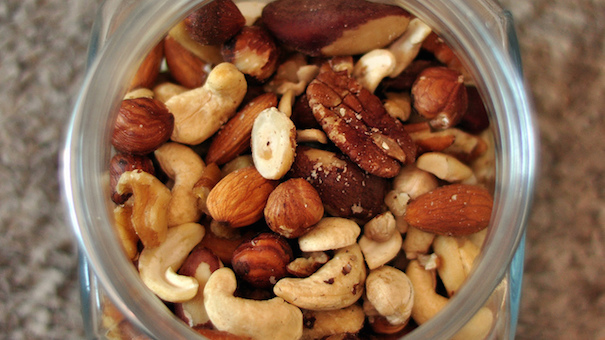 "People think that whole grain flour and nuts and seeds last forever, but the natural oils in these go rancid quickly," explains Dr. Sharon Palmer, author of Plant-Powered for Life. "This not only makes these products taste awful — that familiar paint thinner flavor and odor — and it's not a healthy habit to eat oxidized, rancid food." As an alternative to the pantry, Dr. Palmer recommends storing these items in the freezer. A lot of people think that potatoes are still consumable as long as they don't have "eyes," and even then I bet a good portion of those people just pick them off and prepare the potatoes anyway. Unfortunately, that's not a very smart way to eat your starches. In the pantry, potatoes last only one to two weeks at room temperature, according to StillTasty.com, but anywhere from two to three months when stored in a cooler dark area (45 to 55 degrees). 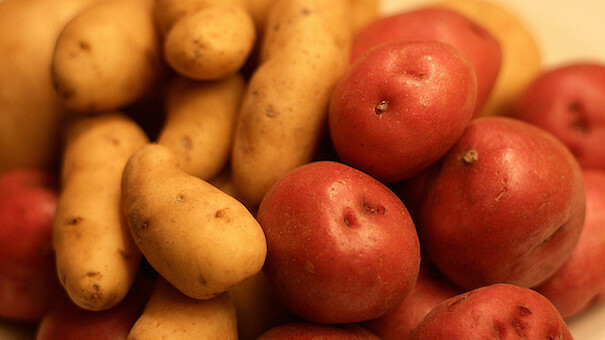 That doesn't mean you should refrigerate your potatoes, however. Refrigeration can give the spuds a sweet taste and cause them to darken when cooked. Prepare the potatoes and freeze them, and they're good to go for up to a year. The site also advises to store the potatoes in a loosely covered sack or basket to allow for air circulation. Keep them away from onions, too, as the chemical reaction between the two will speed up the spoilage process. If it contains mold, bugs, insect eggs, or other "things" in it (which is a real possibility; I'm not making this up), it's reeeeally bad. "Until this fall, I talked about how if you had healthy choices available in your pantry all of the time, it makes it easier to pull together healthy meals at the last minute," she says. "I still believe that, but my timeline and quantities have changed significantly after a horrendous pantry moth invasion. 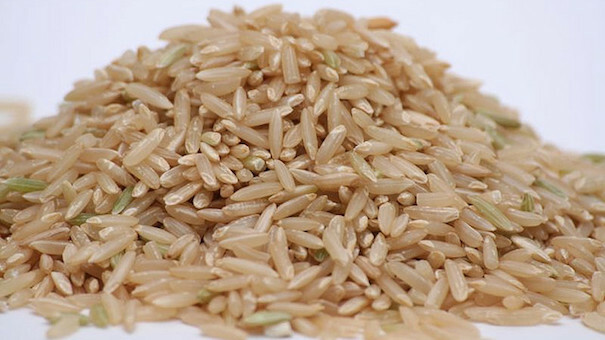 The moths started in my brown rice and expanded to virtually all of my food products (except for canned goods). Not only did I have to throw out hundreds of dollars worth of food, but getting rid of them non-toxically was a huge and time-consuming challenge." Now, before you run to the pantry and throw out all your food, here are ways to prevent this nightmarish invasion from happening to you. "First, store food (whether it comes in boxes, plastic bag or sealed packages) in sealed glass containers," Kuhn advises. "This moves people away from storing in plastic, which, especially as a breast cancer survivor, is a practice that I think is a good thing. Secondly, I have become a proponent of buying what you need. I no longer buy huge quantities of grains, but only enough for a few meals. The upside of this is that shopping for these essentials more often also means buying fresh produce more frequently, which is always a good thing. My point is, even though you think grains, cereals, flour, mixes, and other foods last forever, the pantry moths love them just a little bit too much and, trust me, it is not worth it." Alas, nothing can get rid of that phantom itch you have all over your body right now. You're welcome. Your favorite breakfast cereal doesn't exactly spoil, but I'm sure you've noticed in the past that it's gotten stale. It's not immune to everyday elements, and it'll start losing its texture and flavor about three to four months after its been opened. (But let's be honest with ourselves here; those Fruity Pebbles don't last long in your house.) 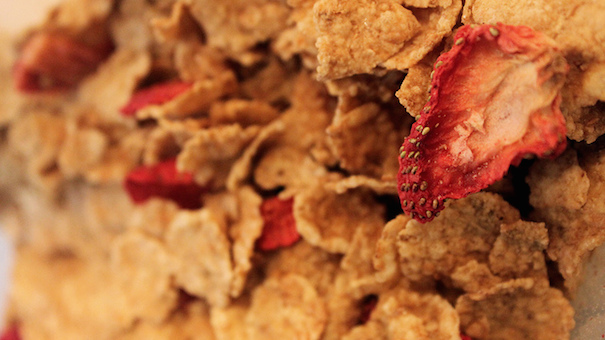 To extend cereal's shelf life, keep the box well covered so it stays crisper, longer. 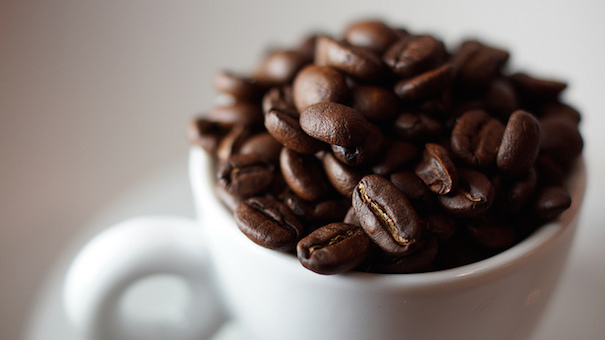 You don't have to worry about any nefarious living organisms infiltrating your coffee, but the pick-me-up does start to lose its flavor after a week or two in the pantry. Stash it in the fridge to preserve its full strength (and to keep the coffee thieves at bay). Do you know of other pantry staples to that don't last as long as we think they do? Let us know in the comments below.